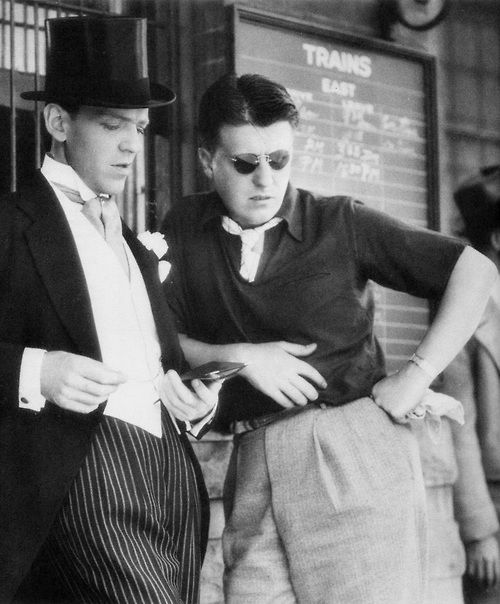 TCM is kicking off 31 Days of Oscar with Swing Time (1936). The musical starring Ginger Rogers and Fred Astaire will air at 8 p.m. Thursday. TCM's annual 31 Days of Oscar programming is one of the highlights of the year for old Hollywood fans. This year's lineup is organized according to category starting with best song nominees and winners on Thursday (Feb 1) and ending with best picture nominees and winners on March 3. This week, I've got a highlights of the lineup for the last three days in January followed by a complete rundown of 31 Days of Oscar beginning on Thursday. The movies marked with a 🌟 are my top picks for the day.. Note: All program times are ET. 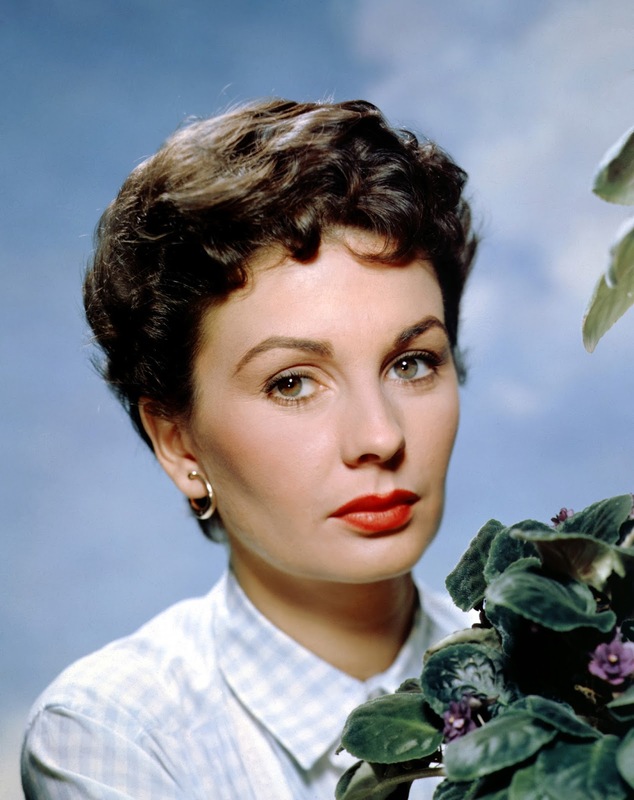 Birthday tributes: Jean Simmons on Wednesday. Three daytime picks: The morning starts out with a double feature from child actor Connie Marshall that includes her role as Cary Grant and Myrna Loy's daughter in the domestic comedy Mr. Blandings Builds His Dream House (1948) at 6 a.m. The rest of the day is devoted to films featuring the character actor Ray Collins starting with his role as a kindly doctor who takes in amnesia victim Warner Baxter in Crime Doctor (1943) at 12:30 p.m. Collins plays Rosalind Russell's beloved father in the biopic Roughly Speaking (1945) at 4:30 p.m.
Prime time lineup: The prime time lineup features films starring Claudette Colbert starting with the romance Skylark (1941) at 8 p.m., in which she plays the neglected wife of Ray Milland who turns to the suave Brian Aherne for comfort. 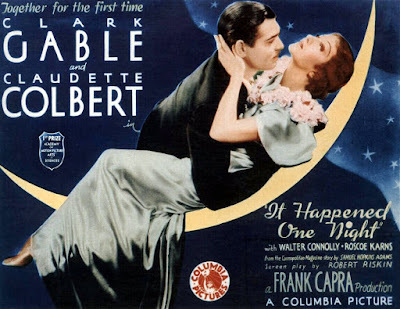 Next, is the all-time great screwball comedy It Happened One Night (1934) at 10 p.m., which won Colbert an Academy Award. Late night pick: Colbert chases ladies' man Gary Cooper in the Ernst Lubitsch-directed rom-com Bluebeard's Eighth Wife (1938) at midnight. 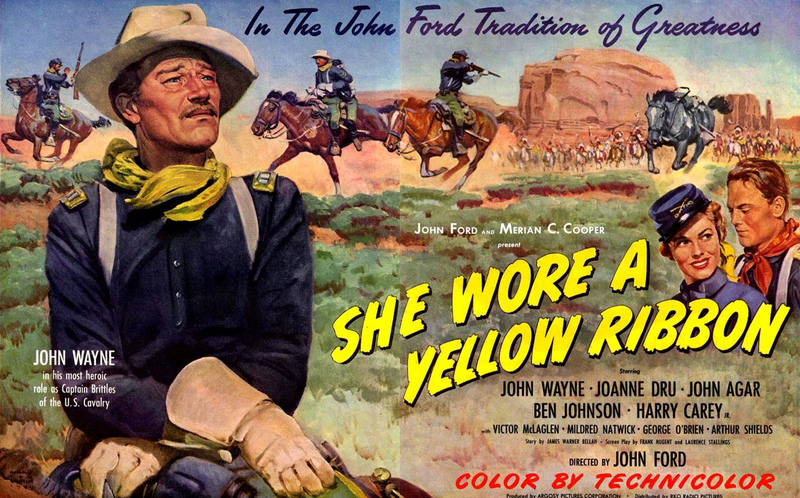 Three daytime picks: A day of movies about war wounds starts with nurse Donna Reed getting PT boat captain John Wayne back to health in director John Ford's powerful World War II film They Were Expendable (1945) at 8 a.m. Next, up is the excellent film Cry 'Havoc' (1944) at 10:30 a.m. about a group of nurses (Margaret Sullavan, Ann Sothern, Joan Blondell) on the island of Bataan. Finally, a disabled veteran (Arthur Kennedy) slowly returns to civilian life in the weepie Bright Victory (1951) at 6 p.m.
Prime time lineup: The prime time lineup is devoted to movies featuring New York City landmarks. 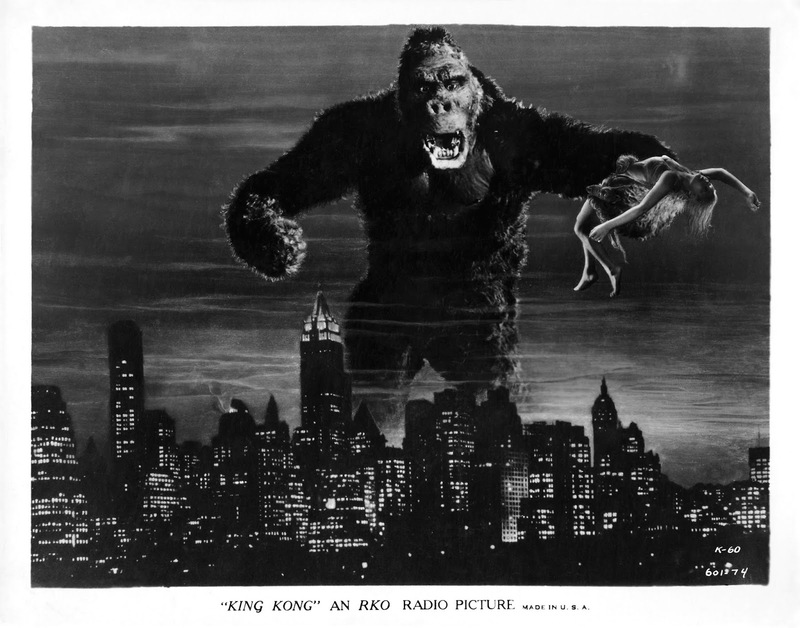 The Empire State Building appears in many classic films, but nowhere more memorably than in the original version of King Kong (1933) at 8 p.m. Director and writer Mel Brooks classic comedy The Producers (1968) at 10 p.m., features several classic Manhattan landmarks, including Lincoln Center and the Central Park Carousel. Late night pick: Gene Kelly, Frank Sinatra, and Jules Munshin see everything from the Statue of Liberty to the Brooklyn Bridge in the musical On the Town (1949) at 11:45 p.m..
Three Daytime Picks: A birthday tribute to actor Jean Simmons, who was born Jan. 31, in Islington, England. Simmons was a popular actor in British films before she came to Hollywood in the early 1950s. She made a strong impression in both the noir Angel Face (1953) at 6:30 a.m. and the coming-of-age film The Actress (1953) at 8:30 a.m. She then made several popular movies throughout the 1950s, including the comedy This Could Be the Night (1957) at noon in which she plays a prim woman who becomes the secretary to gangster Paul Douglas. Some critics cite Home Before Dark (1958) at 5:30 p.m., in which Simmons plays a housewife who has a mental breakdown, as her finest performance. Prime time lineup: TCM honors the 2017 recipients of the Academy of Motion Picture Arts and Sciences Governors Awards with a night of their films. African-American filmmaker Charles Burnett was honored for his deeply personal body of work. His powerful film about family ties, My Brother's Wedding (1984) is airing at 8 p.m. Cinematographer Owen Roizman received an award for a body of work that includes The Exorcist, Network, and the crime drama Straight Time (1978) at 10 p.m.
Late Night Pick: French New Wave pioneer Agnes Varda was honored for her films such as Cleo from 5 to 7 (1962) at 2:30 a.m.
Fred Astaire and director George Stevens on the set of Swing Time (1936). Theme: Best Song nominees and winners. 🌟Gold Diggers of 1935 at 6 a.m.: This Busby Berkeley-choreographed backstager is powered by the Oscar-winning tune, "Lullaby of Broadway." An Affair to Remember (1957) at 8 a.m.: The nominated title tune is a memorable part of this all-time great romance starring Cary Grant and Deborah Kerr. Lady Be Good (1941) at 10 a.m.: This all-star MGM musical includes the Oscar winner "The Last Time I Saw Paris." The Strip (1951) at noon: This gritty gangster drama starring Mickey Rooney features nominated song "A Kiss to Build a Dream On." 🌟Robin and the Seven Hoods (1964) at 1:45 p.m.: Frank Sinatra debuted the Chicago anthem "My Kind of Town" in this Rat Pack musical. High Society (1956) at 4 p.m.: Bing Crosby and Grace Kelly warble Cole Porter's ballad "True Love" in this The Philadelphia Story (1940) remake. 🌟Neptune's Daughter (1949) at 6 p.m.: Ricardo Montalban and Esther Williams debuted the holiday standard "Baby, It's Cold Outside" in this film. 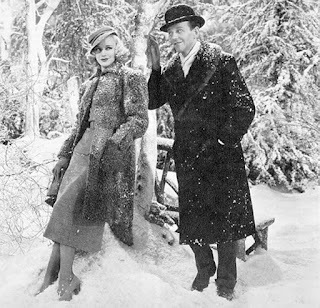 🌟Swing Time (1936) at 8 p.m.: This Fred Astaire-Ginger Rogers musical has a beautiful Dorothy Fields-Jerome Kern score, especially Oscar winner "The Way You Look Tonight." The Harvey Girls (1946) at 10 p.m.: Judy Garland belts out winner "On the Atcheson, Topeka, and the Santa Fe" in this fun pioneer romp. 🌟Love Is a Many Splendored Thing (1955) at midnight: This William Holden-Jennifer Jones romance wouldn't be complete without its famous title song. Days of Wine and Roses (1962) at 2 a.m.: The winning title song by Henry Mancini and Johnny Mercer blends perfectly with director Blake Edwards searing drama about alcoholism. Born Free (1965) at 4:15 a.m.: If you're of a certain age, there was no escaping this family movie about an animal sanctuary and its bombastic (an Oscar-winning) title song. 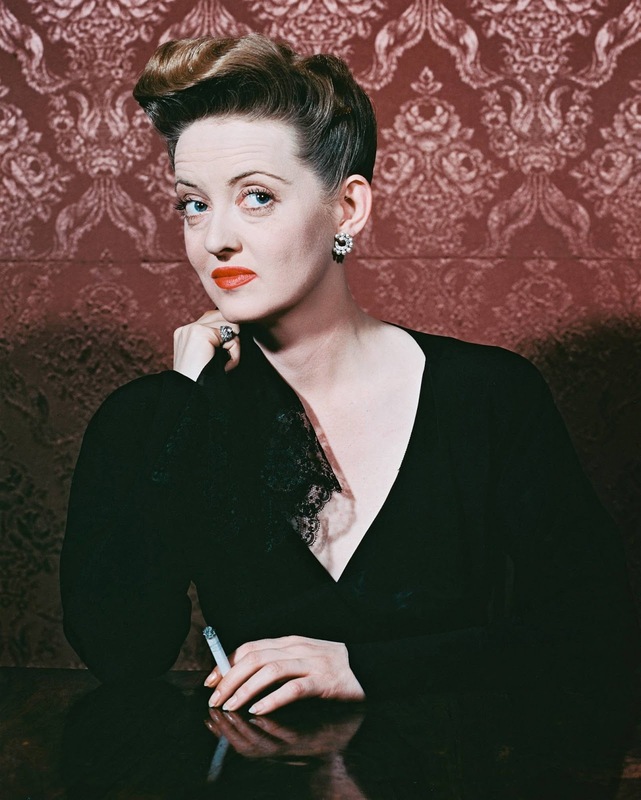 Bette Davis in Now, Voyager (1942). Theme: Best score nominees and winners. 🌟Our Town (1940) at 6 a.m.: This adaptation of Thornton Wilder's Pulitzer Prize-winning play has a lovely Aaron Copland score. This Is the Army (1943) at 7:30 a.m.: Ray Heindorf's arrangement of Irving Berlin's musical comedy about military life won a best scoring Oscar. The Old Man and the Sea (1958) at 9:45 a.m.: Dimitri Tiomkin's impressive score for this Ernest Hemingway adaptation won a well-deserved Oscar. A Star Is Born (1954) at 11:15 a.m.: Heindorf picked up another Oscar for arranging Harold Arlen's wonderful melodies for the Judy Garland version of this much-filmed tale. 🌟On the Town (1949) at 2:15 p.m.: Roger Edens and Lennie Hayton picked up statuettes for arranging Leonard Bernstein's landmark score. Annie Get Your Gun (1950) at 4 p.m.: Edens, along with Adolph Deustch, scored another scoring Oscar for this Irving Berlin musical. 🌟 Now, Voyager (1942) at 6 p.m.: The legendary Max Steiner won an Oscar for his sweeping score for this all-time great romance starring Bette Davis and Paul Henreid. 🌟Limelight (1952) at 8 p.m.: In one of the more bizarre wins in Oscar history, Charlie Chaplin didn't receive his best original score award until 1972. The film was boycotted in the U.S. for two decades because of Chaplin's political views and did not become eligible for Academy consideration until 1972. Fiddler on the Roof (1971) at 10:30 p.m.: The legendary John Williams won best scoring for his work on translating this Broadway musical to the big screen. 🌟 Yankee Doodle Dandy (1942) at 1:45 a.m.: The much awarded Heindorf picked up another Oscar for arranging Broadway showman George M. Cohan's tunes for this flag-waving biopic. Cover Girl (1944) at 4 a.m.: The lovely Rita Hayworth and the lovely Oscar-winning score make this a memorable MGM musical. Lassie Come Home (1943) at 6 a.m.: This story of a boy (Roddy McDowall) and his faithful collie was nominated for best color cinematography. 🌟Strangers on a Train (1951) at 7:30 a.m.: The inventive black-and-white cinematography for this Alfred Hitchcock-directed thriller earned Robert Burks a cinematography nomination. Watch for the scene where a murder is reflected in a pair of glasses. Show Boat (1952) at 9:30 a.m.: The second screen version of this landmark musical received a nomination for best color cinematography. 🌟 The Four Feathers (1939) at 11:30 a.m.: The best version of this oft-filmed tale about a British soldier (John Clements) who must overcome accusations of cowardice was nominated for its Technicolor cinematography. Blood and Sand (1941) at 1:45 p.m.: This bullfighting epic starring Tyrone Power, Linda Darnell, and Rita Hayworth won a best color cinematography Oscar. King Solomon's Mines (1950) at 4 p.m.: This Oscar-winning epic features impressive location shooting in Africa. 🌟She Wore a Yellow Ribbon (1949) at 6 p.m.: Monument Valley's sweeping vistas were beautifully captured in director John Ford's Oscar-winning Western about a cavalry captain (John Wayne) who embarks on one last battle before retirement. A River Runs Through It (1992) at 8 p.m.: Cinematographer Philippe Rousselot won an Oscar for photographing the beautiful Montana countryside in this family drama. 🌟Bound for Glory (1976) at 10:15 p.m.: The legendary Haskell Wexler won an Oscar for his work on this biopic of folk singer Woody Guthrie (David Carradine). 🌟The Hustler (1961) at 1 a.m.: The pristine black-and-white cinematography for this Paul Newman film won a much deserved cinematography Oscar. Battleground (1949) at 3:30 a.m.: One of the great war films, this movie about a group of soldiers during the Battle of the Bulge won a statuette for black-and-white cinematography. Captains of the Clouds (1942) at 5:45 a.m.: The plot for this James Cagney-Dennis Morgan vehicle about Canadian bush pilots is all over the place, but the Technicolor cinematography from Sol Polito certainly deserved an Oscar nomination. 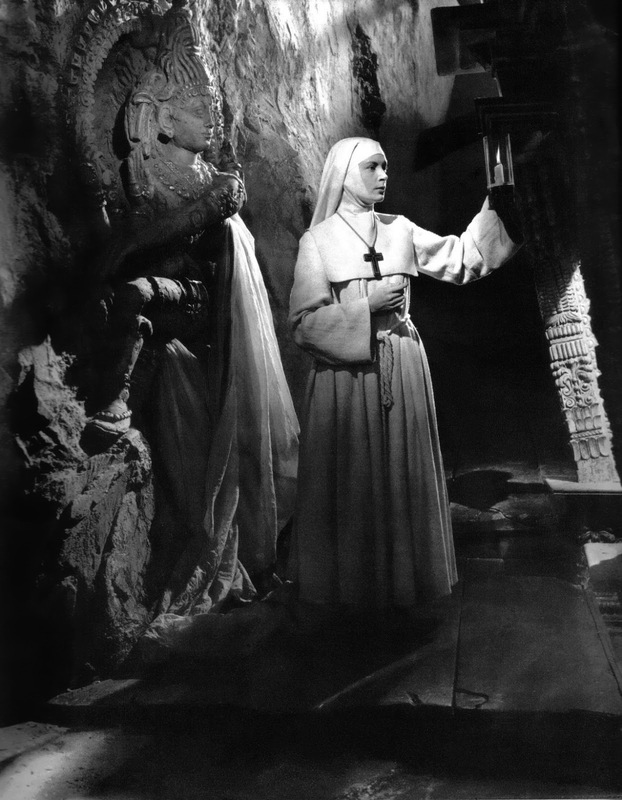 Deborah Kerr in Black Narcissus (1947). Theme: Best cinematography nominees and winners. 🌟 Million Dollar Mermaid (1952) at 8 a.m.: The dazzling Technicolor aquacades designed for swimming sensation Esther Williams earned a best color cinematography nomination. 🌟The Thief of Bagdad (1940) at 10 a.m.: This lavish costume drama based on Arabian Nights folk tales earned Georges Perinal a color cinematography award. Somebody Up There Likes Me (1956) at noon: The saga of boxer Rocky Graziano made Paul Newman a star and earned Joseph Ruttenberg a black-and-white cinematography Oscar. Ice Station Zebra (1968) at 2:15 p.m.: The Arctic seascapes photographed for Cinerama earned this Rock Hudson-Patrick McGoohan Cold War thriller a best cinematography nod. 🌟The Great Race (1965) at 5 p.m.: This fun movie about a round-the-world car race earned a color cinematography nomination. 🌟Black Narcissus (1947) at 8 p.m.: This British movie about a group of nuns in the Himalyas justly earned the great cinematographer Jack Cardiff an Oscar for its sumptuous Technicolor photography. Zorba the Greek (1964) at 10 p.m.: Anthony Quinn plays the uproarious title character in this drama that earned a best black-and-white cinematography nomination. The Song of Bernadette (1943) at 12:30 a.m.: A biopic about a young girl (Oscar winner Jennifer Jones) who sees visions of the Virgin Mary, this movie hauled in four Oscars, including best cinematography for Arthur C. Miller. 🌟 The Naked City (1948) at 3:15 a.m.: The extensive location shooting in New York City earned this film noir a best B&W cinematography Oscar. A Farewell to Arms (1932) at 5 a.m.: This World War I romance starring Gary Cooper and Helen Hayes won a cinematography statuette for Charles Lang.